The Pixel. Photo by Google. 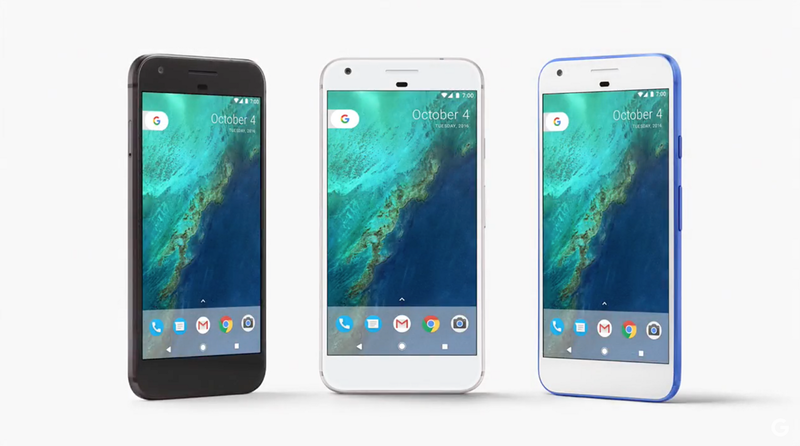 On 4th October 2016, Google unveiled its two new smartphones: the Pixel and the Pixel XL. This will be the first time ever that Google will maintain full control over the the entire development of a handset (apart from the actual manufacturing, which is handled by HTC). The Pixel’s predecessor, Nexus, was largely outsourced, and was not a huge success. One might ask why it makes sense for Google to enter the smartphone industry — after all, Google is essentially a media company that gives away free content and earns profits by showing advertisements. Further, Google risks upsetting some big hardware partners with this move, such as LG and Samsung. To explain the move, it’s useful to start with Google’s smartphone business model. Google owns Android, the mobile operating system (OS), and distributes it under an open-source license, letting developers do whatever they want with it and allowing device manufacturers to install it on their smartphones and tablets for free. The use of Android on mobile devices grew rapidly from the time of its launch such that, by August 2015, it was the primary OS for 83% of smartphones. According to Google there were 1 billion monthly users of Android as of June 2014. By offering its Android platform and apps to manufacturers free of charge, Google maximises use of its own mobile apps and thereby maximises revenue from its mobile-advertising business. But one thing Google lacks is control. Compare Android to Apple’s mobile operating system, iOS. Apple retains full control over every aspect of its devices, from drawing board to software, from software to hardware, and from hardware to retail and distribution. Apple devices come pre-installed exclusively with Apple’s own apps, all developed in-house in Cupertino. Google, on the other hand, has to bargain with manufacturers to ensure that Android devices come pre-installed with its apps. To do so, Google forces manufacturers that want to install popular Google apps (such as the Google Play store) to also install an entire suite of Google’s apps called Google Mobile Services. So if I, as a smartphone manufacturer, want to pre-install YouTube on my Android device, I must also pre-install Google Search, Hangouts, Google Maps, Chrome, Gmail, etc. Even this doesn’t give Google full control, however, as manufacturers remain free to pre-install other apps on top of Google’s suite, including some rival apps (like Skype, for instance). That said, Google does routinely offer financial incentives to manufacturers that pre-install Google’s apps exclusively. The reason for Google’s “all or nothing” attitude here is simple: if device manufacturers could cherry-pick which Google apps they pre-installed, they might take those apps that Google has invested millions in developing but which don’t make any money (like Google Maps), and leave out those that earn Google billions, namely YouTube, Google Search, and that’s about it. Fundamentally, Google exchanges content for eye-balls, and if there are no advertisements to show the eye-balls, Google has no incentive to develop great apps (and a great OS) in the first place. As an open-source system, Android is also prone to fragmentation by forking, such that lots of devices end up with lots of different versions of Android installed on them, which increases costs for app developers and reduces the attractiveness of Android as a software platform compared with the likes of iOS. Obviously the less attractive Android becomes, the smaller the distribution of Google’s apps. So Google also bargains with manufacturers to ensure that they don’t use Android forks, and in exchange they can pre-install Google’s apps. So if Google can already ensure widespread distribution of its apps by bargaining with manufacturers, why does it need to move vertically into smartphone production? Well, the European Commission is not at all happy with Google’s contracts with device manufacturers. It claims that Google is leveraging the attractiveness of apps like Google Play, to force manufacturers to pre-install its other apps that manufacturers might not take otherwise (like Google Search), a practice known in the antitrust world as tying. This, the Commission claims, allows Google to illegally protect its dominant position in the online search market by keeping rival search apps off smartphones. According to documents leaked to Reuters, the Commission will soon be fining Google for these practices at a level which will be “sufficient to ensure deterrence.” This could in theory be up to 10% of Google’s turnover, or $7.5 billion — ouch. How does Google solve this problem? The answer lies in a different question — why does Apple not have this problem? Apple controls how much competition takes place within the iOS ecosystem and can use this control to increase the popularity of its own apps without competing with rival apps (the growth of Apple Maps is a perfect example). In any case, Apple’s devices are not dominant and the company is therefore not foreclosing access to the market for rival app developers. Android, on the other hand, is found on over 80% of smartphones. But with the Pixel, there will be no leveraging. If Google exclusively pre-installs its own apps on the Pixel, a subsequent growth in popularity will be the result of competition on the merits, and will show that Google’s apps are what customers actually want. If consumers want Google Play and a range of other apps pre-installed on their devices (some Google’s, some not), they can just as easily turn to Samsung, LG and the like. The Pixel will compete with other Android smartphones, and, if it grows to displace them, it shows that a Google-exclusive ecosystem is popular with consumers. So it is really no coincidence that the Pixel looks exactly like an iPhone, nor is it a coincidence that Chief Executive Officer Sundar Pichai approved the development of the Pixel in the summer of 2015, just months after the Commission opened its Android investigation. By designing its handsets in-house, Google can pre-install its own apps without regulatory intervention. It can ensure the distribution of Google Search and YouTube, and keep each handset up-to-date with a consistent version of Android to preserve its appeal to developers. And it can increase the extent to which its apps integrate and interact with each other, safe in the knowledge that users won’t have their “out-of-the-box” experience ruined by other third party apps. The Pixel also complements Google’s other hardware products, like its Virtual Reality headset, its wifi router and its voice-activated speaker. When industry experts talk about smartphones, they often distinguish between closed systems like Apple and open systems like Android. With the launch of the Pixel, Google is battening down the hatches. One wonders: what is the future of Android as a free, open-source and ultimately competition-inducing OS, when Google now competes directly with its main beneficiaries? This article was originally posted on pftodd.com.